Actor, musician and the master of disguises, Jared Leto, has signed on to play pop artist and cultural icon Andy Warhol. The movie has been tentatively titled, Warhol. 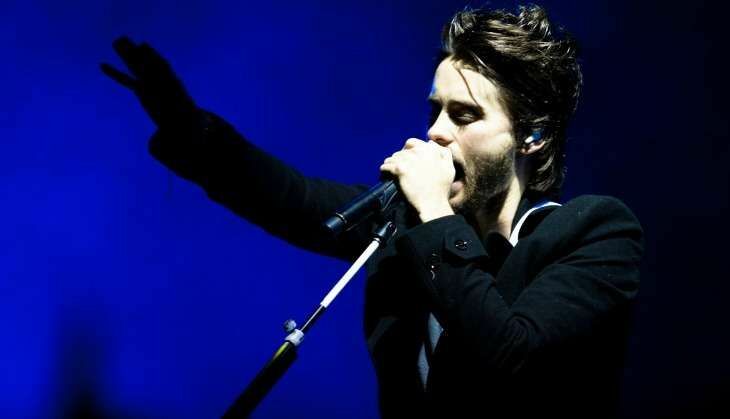 The 44-year-old frontman of 30 Seconds to Mars will also produce the film along with Michael De Luca, said The Hollywood Reporter. The actor, who recently played the Joker in Suicide Squad, will produce the film through his Paradox production shingle with De Luca, whose credits include Oscar-nominated movies The Social Network, Moneyball and Captain Phillips. No director has been attached yet, but The Wolf of Wall Street scribe Terence Winter is on board to pen the screenplay based on Victor Bockris' 1989 book Warhol: The Biography. This is not the first time that Warhol's life has been adapted for the big screen. Several actors including Crispin Glover, David Bowie, Guy Pearce and Bill Hader have played the artist in 1991's The Doors, 1996's Basquiat, 2006's Factory Girl and 2012's Men in Black 3 respectively. Warhol began exhibiting his work during the 1950s. The artist was best known for his painting of significant American objects which included dollar bills, mushroom clouds, electric chairs, Campbell's Soup Cans and Coca-Cola bottles along with celebrities like Marilyn Monroe and Elvis Presley.